STEP 1: Go to YouTube and choose the video you want. 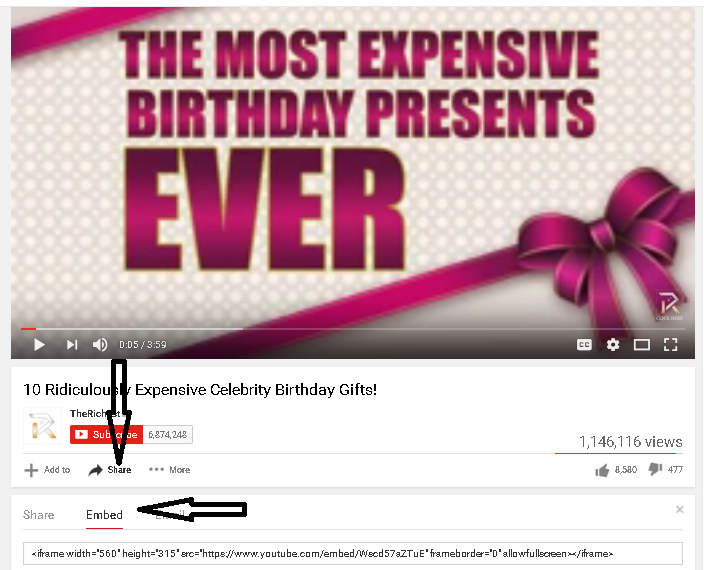 You will click on the Share option and then select the Embed. This will give you a code that you will copy and embed to your FSB/FSI store. STEP 3: When you click on the Source Code tab, a new window will pop up. This is where you will add your YouTube or any other HTML code and click on the OK. STEP 4: The video will now show up on your screen. Now you can go to the bottom of the page and click on SAVE ALL. This will save your changes. If you do not press SAVE ALL, your HTML code will not be saved. STEP 5: Go to your Homepage or the content page where you placed your HTML code or video to see it. Tools-->Delete Cache–>Click to Delete All Cache Now. Then go to your content page to see the HTML code image, ad or video.